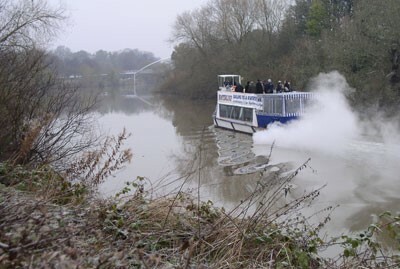 On a cold, frosty morning the 97th Archbishop of York left Bishopthorpe Landing by pleasure boat for his enthronement in the Minster. 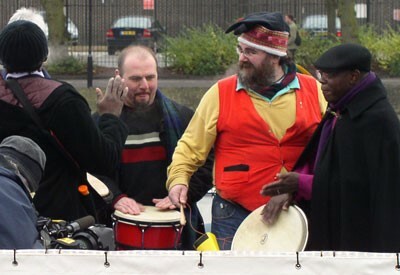 As I raced down Ferry Lane hoping to capture the scene on camera, all I saw was the boat disappearing up river with the Archbishop’s drummers beating out a lively rhythm. Not to be outdone, I first caught up with the boat as it approached the Millennium Bridge. 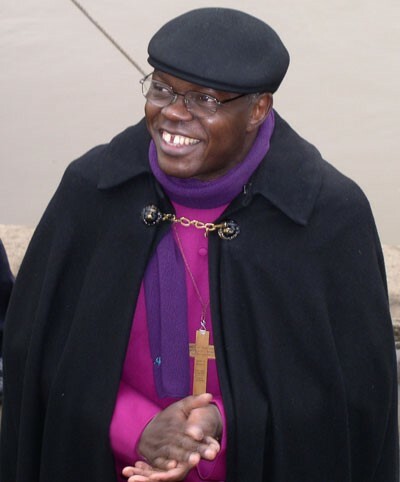 On arrival in York at Marygate Landing, and to the delight of sightseers and press alike, Archbishop John Sentamu climbed up to the top deck and displayed his drumming prowess with some gusto. Amazingly, among the crowd on shore, not a few middle-aged ladies and members of the clergy could be seen tapping their feet and swaying to the beat. This Archbishop has style! 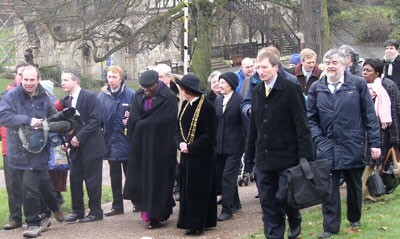 As he walked to the Minster with the Lord Mayor surrounded by the press, Archbishop Sentamu frequently stopped to shake hands, chat and laugh with shoppers and sightseers who greeted him warmly. With a man such as this at the Palace, Bishopthorpe may well be in for interesting times! ﻿ What’s the time? Time the sundial was restored! For the past year, Bishopthorpe Local History Group has been lobbying United Co-operatives to restore the badly-weathered sundial on their property in Main Street. We are now delighted to announce that they have agreed to finance the work. 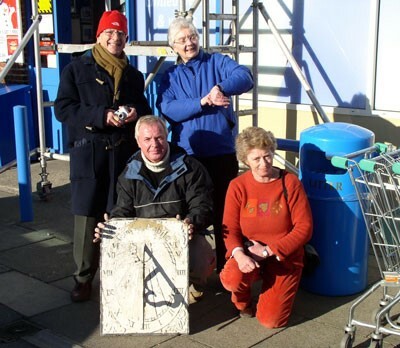 Men from the Co-op’s Property Division carefully removed the ancient dial from the front of the store into the care of sundial restorer, Harriet James. Harriet has taken it back to her workshop in Wiltshire and will return the restored dial in a few months time. The stone sundial may well date back to the late 17th century. The barely legible Latin inscription is Tempus Labile, appropriately, ‘Time slips away’. 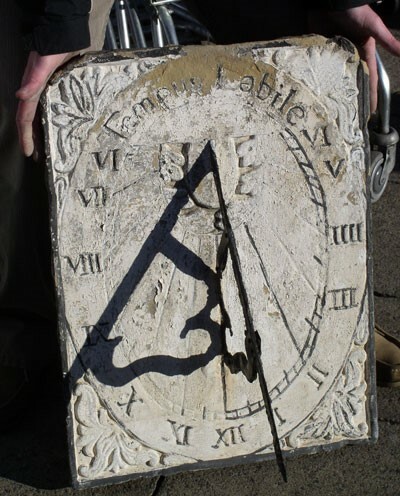 The full story and history of the sundial is on the History Group’s web pages. For many years it has been argued that Guy Fawkes was born in either York or Bishopthorpe. He was certainly baptised in 1570 at the church of St. Michael-le-Belfrey, but that doesn’t mean he was born within the parish. An oral tradition has persisted in Bishopthorpe that he had relatives living in Chantry Lane and that that is where he was born. 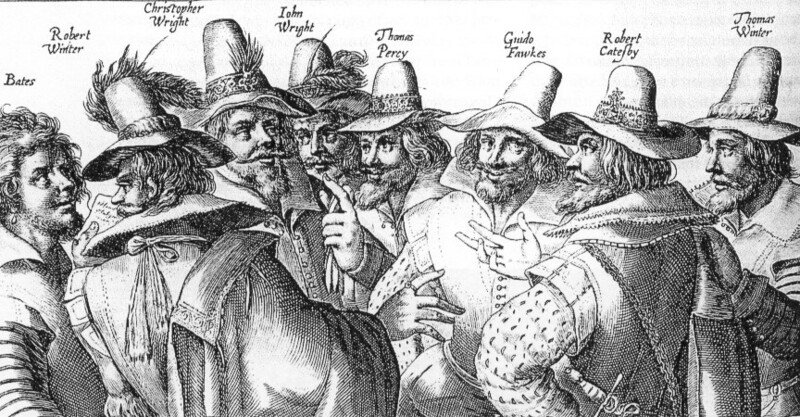 Four hundred years have passed since the Gunpowder Plot was discovered and so it is a good time to explore whether our local interest is fact or fiction. “Do you know anything about Guy Fawkes’s association with my house?” a resident of Chestnut Cottage, Chantry Lane, asked me a few years ago. Well I didn’t, and I have to admit that I felt a little sceptical. The present houses in Chantry Lane were built during the 18th century (Ramsey House excepted) and therefore would not have been in existence when Guy Fawkes was born. I had, of course, heard the story that the most famous conspirator was supposed to have been born in Bishopthorpe, but where had such a tale originated – and was there any truth in it? We know from research carried out by Katharine Longley, the former Minster archivist, that Guy’s parents, Edward and Edith Fawkes, lived in a house situated in Stonegate. The building fell within the parish of St. Michael-le-Belfrey and, therefore, Guy Fawkes’s baptism took place in that church on 16 April 1570. This would suggest that he was also born in the same parish but, as most genealogists soon learn, a child’s place of birth and baptism are not always the same! “The House opposite to the Church is said to be the Birth Place of Guy Vaux, [sic] that vile Incendiary, one of the Agents in the Gun-Powder Plot, Anno 1605”. “in the village this opinion [that Guy was born there] has always prevailed, and the fact has been unhesitatingly and confidently asserted”. “The house referred to by Mr. Gent as the birth place of Guye [sic] came into the possession of a Mr. Dixon over 200 years ago, by purchase from the representatives of the Fawkes’s family, with the full assurance that Guye Fawkes was born there”. Speaking to the descendants of Mr. Dixon, who still resided in the parish circa 1890, Camidge learned that the family occupied the property through successive generations, until about 1760. Apparently, during the time of their ownership, the house was visited periodically by sightseers keen to see the birthplace of the famous incendiary. The Bishopthorpe parish registers do record entries of baptism, marriage and burials for a Dixon family, or families, during the late seventeenth to nineteenth centuries. Not surprisingly, the Fawkes family are absent from their pages. Guy’s great grandfather William Harrington was a wealthy merchant and alderman of the City of York. In 1501 he held the office of keeper of the manor of Bishopthorpe. He lived in Petergate and bequeathed one of his Stonegate properties to his son-in-law, William Fawkes, Guy’s grandfather. William Fawkes and his son Edward, Guy’s father, were both employed in their turn as registrar in the Archbishop’s Exchequer Court. Three years after Edward’s death in 1579, (and burial in York Minster), his widow Edith, married Denis Bainbridge of Scotton. Guy’s paternal family was Protestant and it is thought that the Roman Catholic Bainbridges, had an influence on the young Guy in his change of religion. When Guy was arrested and examined in 1605, he gave his mother’s name as Edith Jackson. Interestingly, two recusants, Ann and Guy Jackson, were recorded as living in Bishopthorpe during the 1580s. 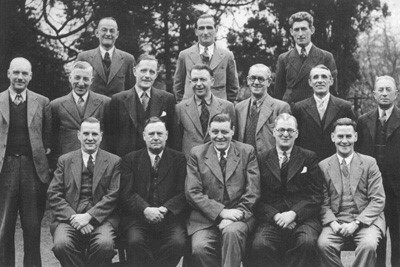 Their names appeared on a list of those Catholics who refused to attend Church of England services. Were they related to Guy’s mother? It is curious to note the naming pattern here, especially as Guy was not a common name – and also that Guy’s sister was named Ann. Furthermore, in the 1940s, the Rev. Angelo Raine, who also concerned himself with the question of Guy’s birthplace, discovered evidence that Edward Fawkes had owned land at Bishopthorpe. Rev. Raine was honorary archivist to the City of York, and he found ‘A List of Chantry lands in York and suburbs’ dated 1585. This revealed that Guy Jackson occupied land between the vicarage and land owned by Edward Fawkes (who had died intestate in 1579) which was also occupied by Jackson. It has to be said that, unfortunately, all of these facts remain inconclusive as to whether Guy Fawkes was born in Bishopthorpe. And does it matter? Well no, not particularly, but it would be satisfying to link together these intriguing pieces of information and prove, once and for all, the exact birthplace of York’s infamous son. This would, indeed, show the value of oral tradition. With thanks to Sarah Costley of York City Archives for checking the transcription. A transcription written in Rev. Raine’s hand can be found in the James Raine collection: York City Archives, ACC28/49. A further transcription written on a postcard by Rev. Raine and sent to ‘Oliver Sheldon Esq., Chantry House, Bishopthorpe’ in 1943[? ], is held in the Bishopthorpe Archives. Aveling, Hugh, The Catholic Recusants of the West Riding 1558-1790 (Leeds Philosophical & Literary Society) Vol. X, part VI (1963). Camidge, William, Ouse Bridge to Naburn Lock (York, 1890) pp336-337. Gent, Thomas, The Antient and Modern History of the Loyal Town of Rippon [sic]; with A Journey into some parts of Yorkshire; particularly, to Pontefract, Wakefield, and Leeds. (York, 1733) pp63,64. Keble, John R., History of the Parish and Manor House of Bishopthorpe (Leeds, 1905)pp21, 41. Longley, K. M., ‘Three sites in the city of York’ in Recusant History, 12, 1-7. (1973). Raine, Angelo, Mediaeval York (London, 1955) p121.